No Known Allergies (NKA). 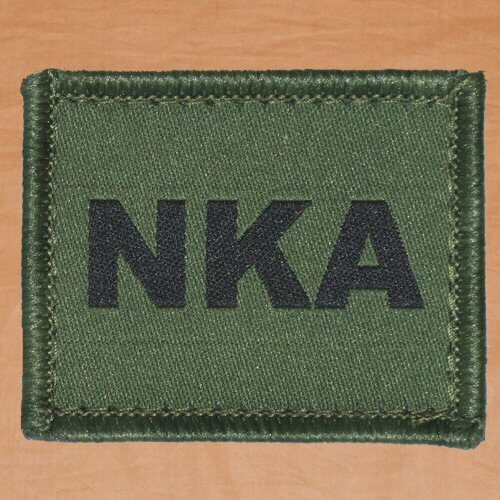 British made, velcro backed blood patches, 1.25 inch x 1.5 inch, with embroidered edge. 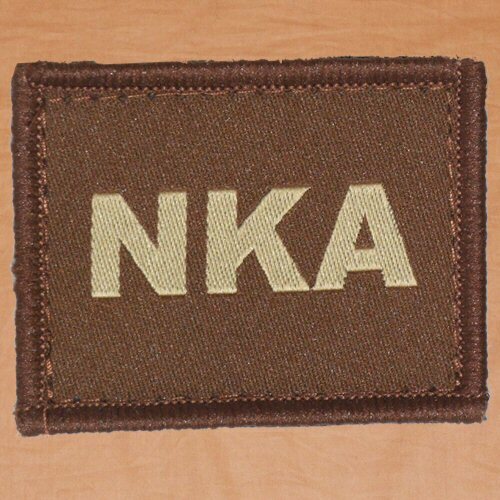 The blood patch face is woven, not embroidered, for clear and distinct identification which will not become furred or fuzzy over time. Edges are fully enclosed to prevent fraying. 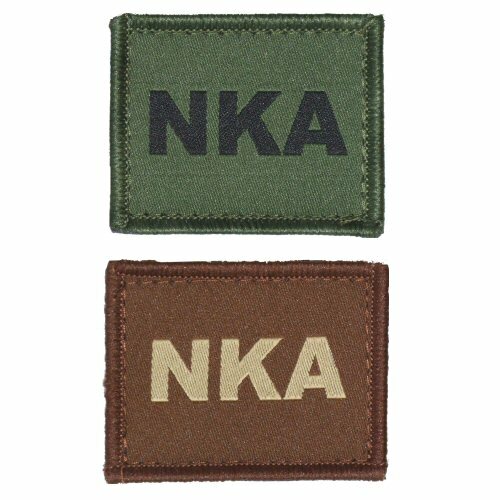 The blood patches are more square than the US 1 inch x 2 inch morale patch size for a clearer, at sight, identification of the blood type. Colours available are black on olive or sand on brown. Please note price is for one patch only.